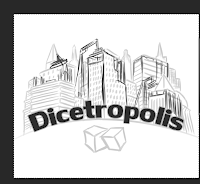 Home / Dicetropolis / A new game! 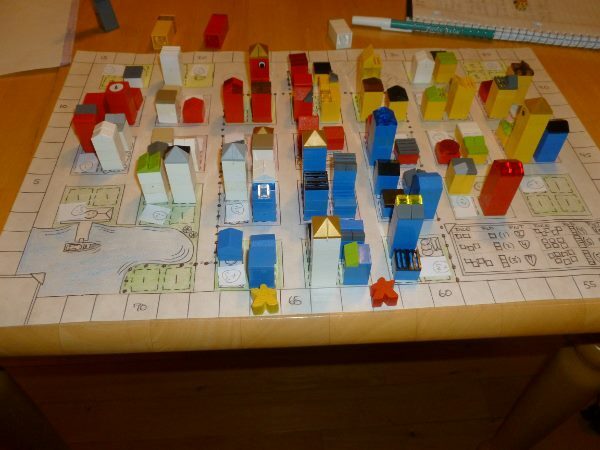 A couple weeks ago I awoke from a very detailed dream about a board game where players roll dice and build a city. 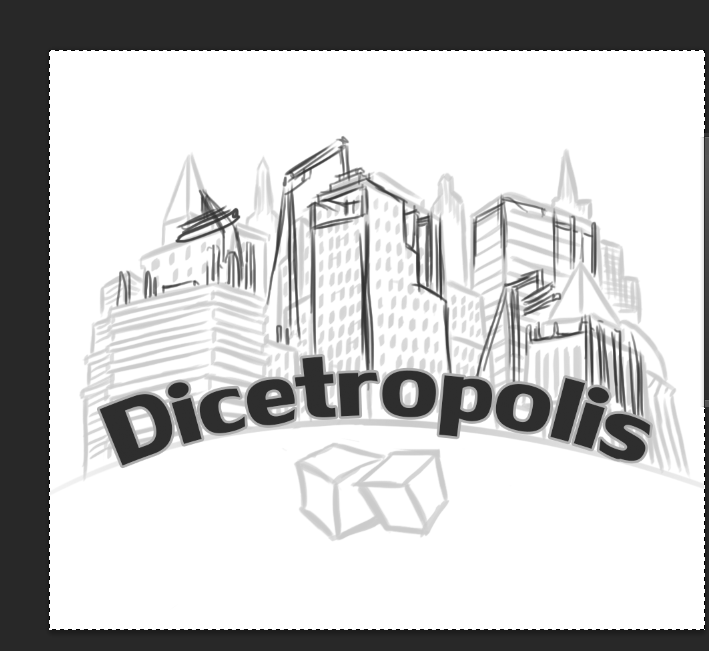 I immediately went down to the Gamecave (aka the office) and began writing notes on a new game, Dicetropolis. In Dicetropolis players roll Permit dice on their tun in efforts of collecting matching permits (colors). If players succeed then they get to place one of their buildings on the zone that corresponds to the permits collected and earn points. 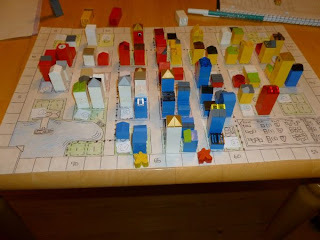 But players need to watch out if they roll three Stop Work Orders then their turn is over and they don't get to place any buildings on that turn and don't score any points. Since the dream I have been working non-stop on creating prototypes, testing them, and creating new prototypes. The best part of this process has been the help that I have received from others and getting to make fun Lego buildings. I have an artist from Brazil hard at work creating the Logo and he will eventually do the rest of the artwork. You can check out his stuff at http://www.flickr.com/photos/marcomorte/. Stay tuned as I continue this process of going from dream to reality.